If you are a new user or you're not sure if you have used this site before, enter your email address below and click Login. 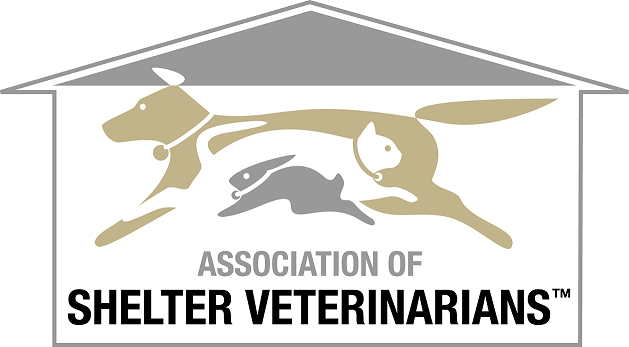 By providing your email address, you agree to receive emails from Association of Shelter Veterinarians. 2019 ABVP CALL FOR ABSTRACTS - Deadline May 31, 2019. Click for more information! Thank you so much to everyone that joined us for our annual member's reception in Tampa! Congratulations to our Veterinarian of the Year award recipient, Dr. Sara White, as well as to the nominators of our Meritorious Service Award recipient, Dr. Kelly Farrell, for providing a lovely and moving tribute. Mark your calendars for next October at ABVP in Denver! FREE WEBINAR - The Optimal Time for Spay/Neuter: An Analysis of Critical Spay/Neuter Literature - Now Available On Demand! FREE WEBINAR - Behavioral Pharmacology In Shelter Settings. Now Available On Demand! The American Heartworm Society and ASV publish "best practices" to help stop heartworm transmission via transported dogs. Click here to download PDF. ASV Past President, Dr. Martha Smith-Blackmore in the news and doing great things! Read all about her new project in suspected cases of animal abuse in the Boston area. Board Certification in Shelter Veterinary Medicine is a reality! © Association of Shelter Veterinarians, Inc.